Cpl. John W. Hefner, son of Mr. and Mrs. Hugh Hefner attended school in Cons. No. 11, Frederick, husband of the former Estelle Harris. 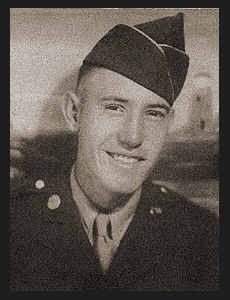 Entered Army in Jan. 1945, trained in Camp Robinson, Ark., Camp Howze, Texas, and in Ft. Ord, Cal.